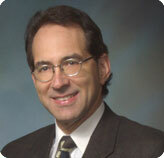 Dr. Franklin Kase D.P.M., F.A.C.F.A.S. Bunions are a very common foot condition that affects adults, and occasionally children. Ingrown Toenails are caused by the border of the toenail curving into the skin surronding the nail. Hammertoes is a contracture or bending of one or both joints of the second, third, fourth, or fifth toes. Copyright © 2007-2011 Burbank Podiatry Group. All rights reserved. Website design and hosting by Caspian Services, Inc.